stories, images, and weird facts from behind the scenes. “I work with found natural objects. Leaves, stones, pieces of wood…ephemeral things, easily overlooked. And I use crochet; sometimes as embellishment, but mostly in a more unconventional way as a means of sculpture and construction. Susanna has a show with Leigh Anne Lester at the Muriel Guepin Gallery in New York City until April 16, 2016, and I can’t wait to see her work in person. Seeking visual examples for the pages of Your Idea Starts Here, I first started looking for collage artwork. I loved the idea of using a medium that uses different materials layered together to make something new. I started searching (very scientifically) for the right type of work by googling: “beautiful collage artwork,” and found Melinda Tidwell in Santa Fe, New Mexico. 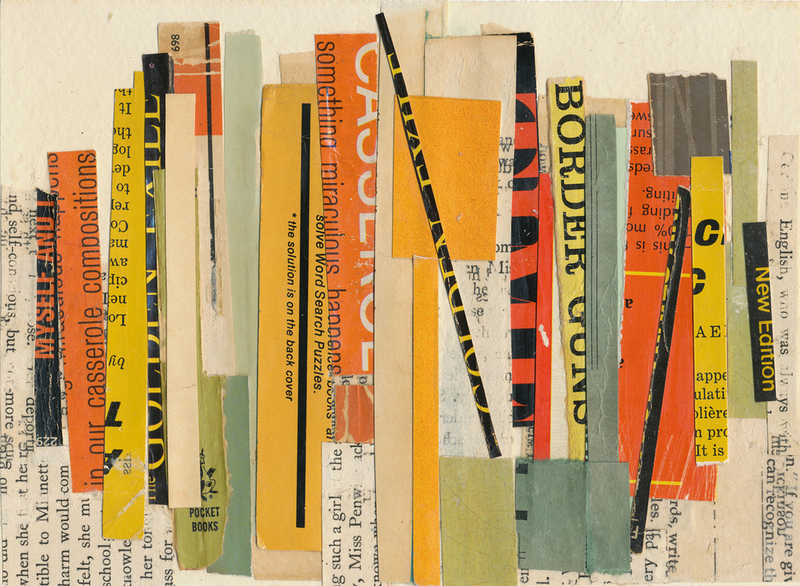 Melinda's work brings together order and abstraction from her mathematical past with fabulous color and juxtapositions, using vintage books as her material.